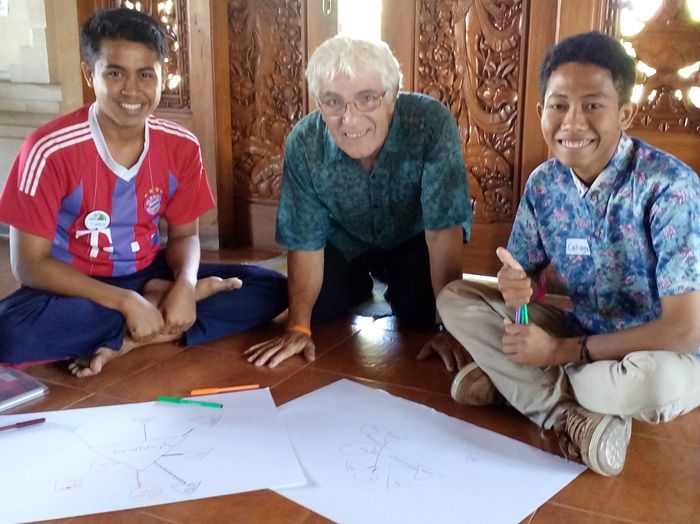 Mario offers personal growth workshops in Bali and at various locations around the globe. 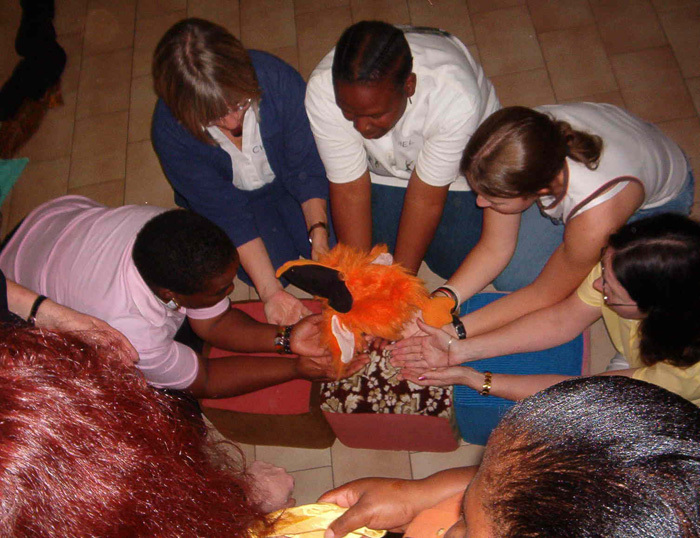 Some are focused on a theme or issue and others are general sessions whose themes are determined by participants. Please check Coming Events to see up-coming offerings and Completed Events for a listing of a variety of events previously offered by MAU. For sponsors who would like to offer personal growth workshops, half-day, full-day, or multiple days, Mario will work with you to develop a program to suit the needs of your clients. Below is a list of potential offerings available. Workshops for youth can focus on building strengths and self-confidence and/or role training for encountering life challenges. They can also be designed to work with specific issues and populations, e.g. 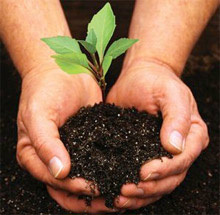 youth in recovery from addictions, children of divorce, young people with eating disorders, etc. Please also see Drago-Drama Personal Growth Workshop for details on a workshop that uses metaphoric psychodrama to focus on achieving life goals and overcoming obstacles. These workshops focus on identifying and reinforcing personal, interpersonal and transpersonal strengths and cultivating gratitude for life’s blessings as foundations for healthy living. They can serve as an important prerequisite to working on deep seated issues such as childhood trauma, abuse, and neglect; grief and loss; and addictions. These workshops can be open ended to provide support for whatever issues arise, or can focus on specific issues common to participants. Psychodrama is a powerful tool for managing life issues, letting go of old patterns of behavior, and moving into the kind of future you desire. Individual sessions are conducted using images on cards, scarves, empty chairs, etc. instead of group members to hold various roles. These sessions are ideal for those not quite ready to bring their issues to a group, or who need one-on-one support.Individual sessions can also be provided with a small group of trained auxiliaries and/or friends to take on roles for a specific piece of work. Individual sessions may also be conducted via SKYPE. 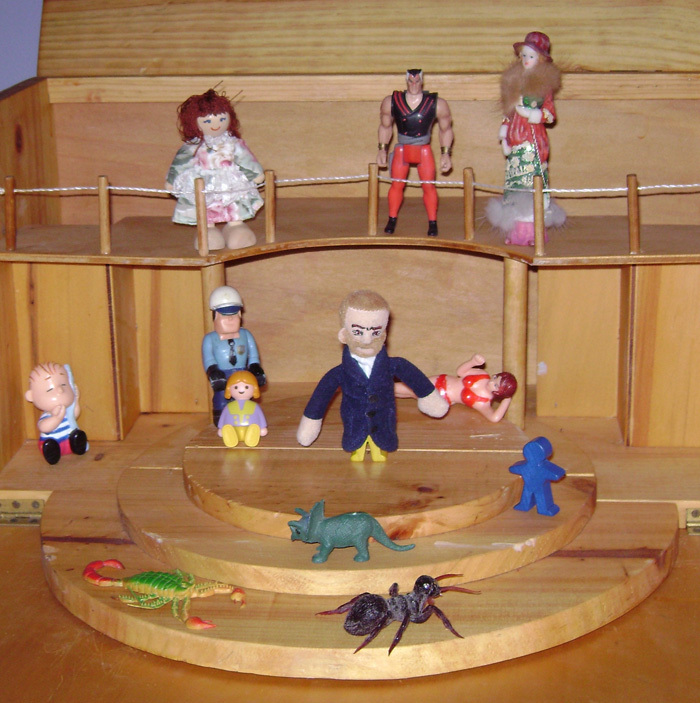 Similar in some ways to sand tray work, psychodrama in miniature utilizes various figures upon a scale model of the original Moreno stage. (For information about these stages, contact their creator, Annie Rosenthal at rosenthalannie@yahoo.com.au). This type of work is most often done with an individual or relatively small group. It is great for doing a life assessment or working on almost any personal issue. A photographic record of the work is often helpful for individuals after their session.